What to do on a rainy ANZAC Day? 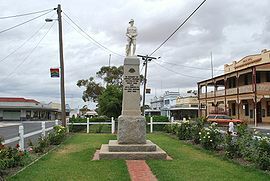 Head into the north west of Victoria, into the Mallee, that’s what. For the next two days, it will be all things Rainbow for me, Corinne King, Diana Lawrenson and Marjory Gardner. I’m looking forward to meeting and working with the students and staff of Rainbow Primary School and Rainbow Secondary School. I’m looking forward to meeting people from the community too. My grandmother hailed from the region and I know there are distant relatives still living in the area. I’m also hoping for star-filled skies, sunrise/sunsets and crisp clear days. If the clouds would oblige, even just briefly? … for our Canterbury Tales gig. Isn’t it a corker? Have you read the Canterbury Tales? 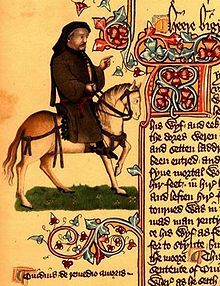 I hadn’t, until a group of locals, many of whom were also new to the Tales, decided it was time to bring Chaucer to the Williamstown Literary Festival. Well, clearly not Chaucer, he’s in no state to travel. K. Clarke. And there will be Morris Dancers! 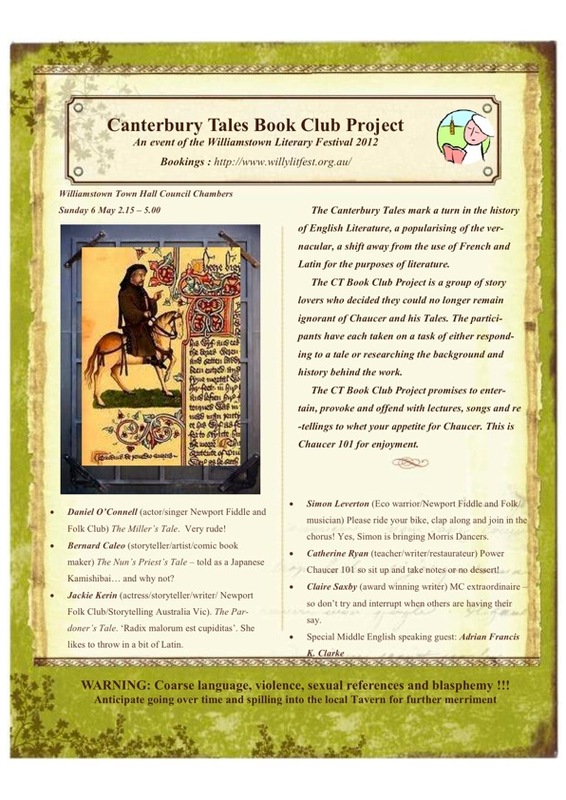 The CT Book Club Project promises to entertain, provoke and offend with lectures, songs and re-tellings to whet your appetite for Chaucer. This is Chaucer 101 for enjoyment. If you would like to come along and join the fun, details for booking are here.